PICS: OPW’S KAYISE NGQULA’S BABY SHOWER! Our Perfect Wedding host, Kayise Ngqula is a radiant mommy-to-be. 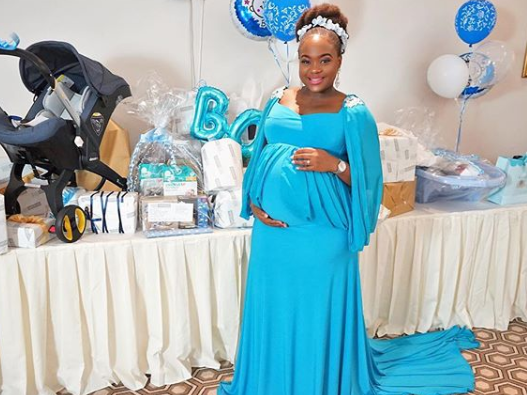 The 27-year-old presenter is used to helping others make their special days extra special, but the spotlight was recently on her as she was showered with gifts for the new arrival. Kayise was surrounded by close family and friends over the weekend as they celebrated the presenter’s first baby boy. The baby’s father is of course, Kayise’s Zimbabwean husband, Farai whom she calls “the co-creator of a miracle”. “I have never experienced a love like this!! My baby shower was so anointed... a major thank you to my friends & family, what is life without you,” she said. I love my Mama!!! How did I get so lucky? ??? ?